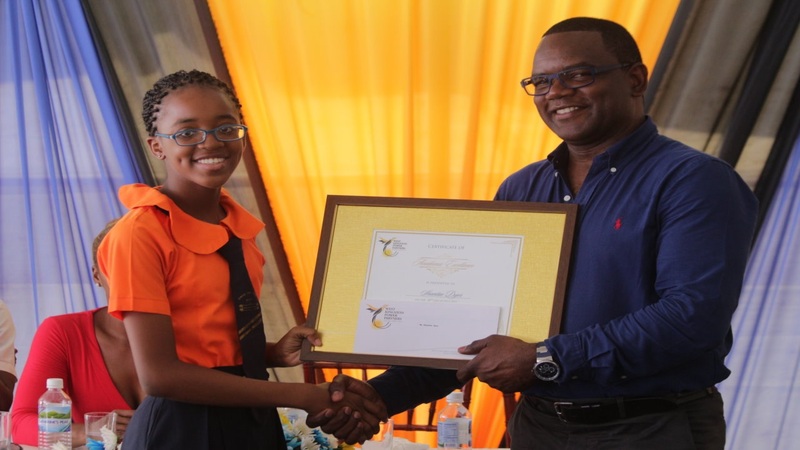 The West Kingston Power Partners hosted its annual free health and wellness fair at the Tivoli Gardens High School under the theme, “Live Healthy, Live Long”. West Kingston Power Partners (WKPP) last Friday, treated the community in which it is situated, to its annual Health and Wellness Fair at the Tivoli Gardens Comprehensive High School. 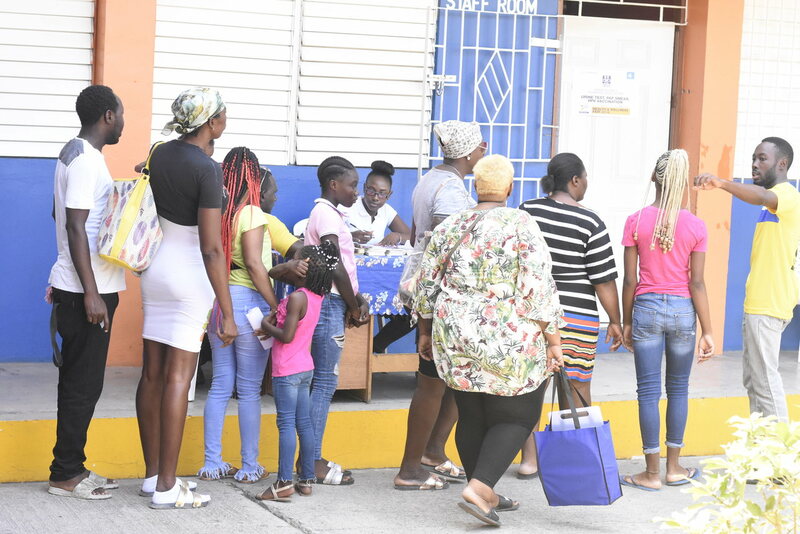 Though not supported as in previous years due to a flare up of violence in the area, the event attracted scores of residents from West Kingston. “One of the biggest challenges we have every single year, is what is happening in the community, whether it is Denham Town, Tivoli Gardens, Fletchers Land, Hannah Town or even Matthews Lane,” stated Wayne McKenzie, president and CEO of WKPP. McKenzie lamented that the residents, who didn’t turn up, missed out an opportunity to receive several health services, more than in the previous years. A medical practitioner checks the blood pressure of a West Kingston resident at the health and wellness fair. Photo: Marlon Reid. He stated that WKPP had provided some of the services that would have also enabled individuals from the community to generate employment, such as food handlers’ and barbers’ permit. Melissa Newman, Community and Public Relations specialist at WKPP, a number of Non-Government Organisations were also at the Health and Wellness Fair, with some corporate entities and individuals helping as well. Among these were the Family Planning Association, Facey Commodity Pharmaceuticals; Diabetes Association of Jamaica; Courts Optical; DS Prime Health; Passport, Immigration and Citizenship Agency (PICA); Programme for Advancement Through Health and Education (PATH); and the Register General Department. 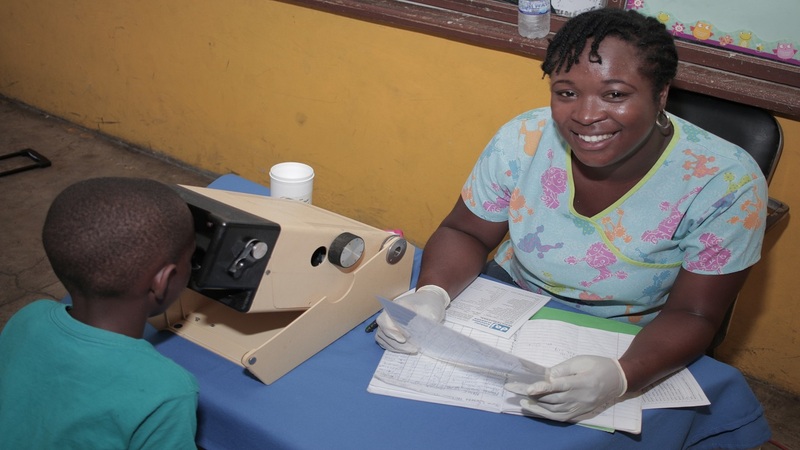 Some of the services that were offered included, immunization, pap smear, HPV vaccine, cholesterol test, blood pressure test, blood sugar test, vision screening, and dental extraction and cleaning. “We want to ensure that persons have access to health care. We understand that persons have bills to pay, difficulties especially in accessing dental care. So we want to ensure that we, being in the position that we are in, are able to dispense these services free of cost to the residents,” Newman said. She went on to say that WKPP is committed to developing the area and its residents. 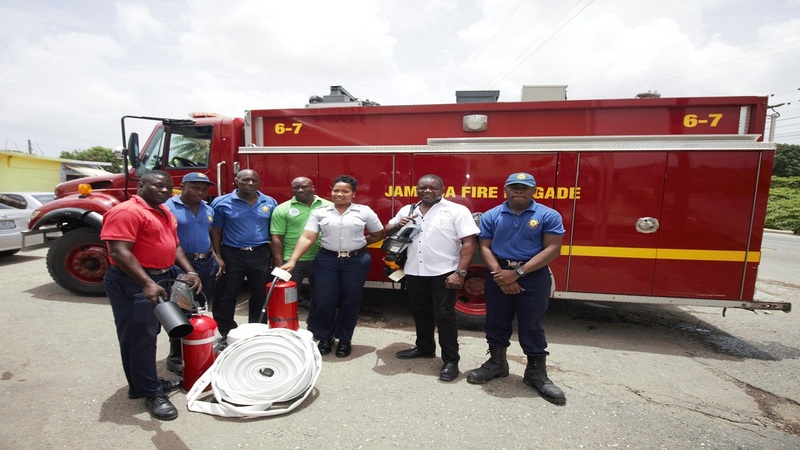 “We want to ensure that our residents in our West Kingston community are healthy enough to be productive citizens of Jamaica, as part of our corporate social responsibility,” Newman said. 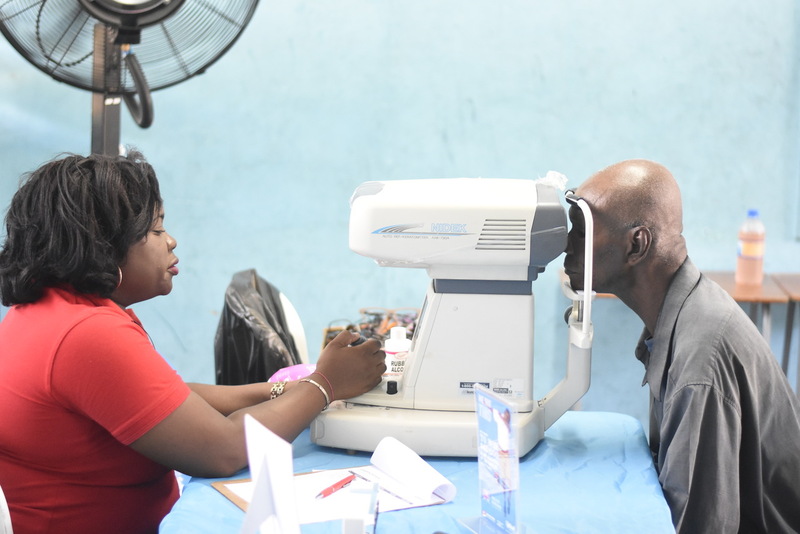 A West Kingston resident gets his eyes tested. Photo: Marlon Reid. 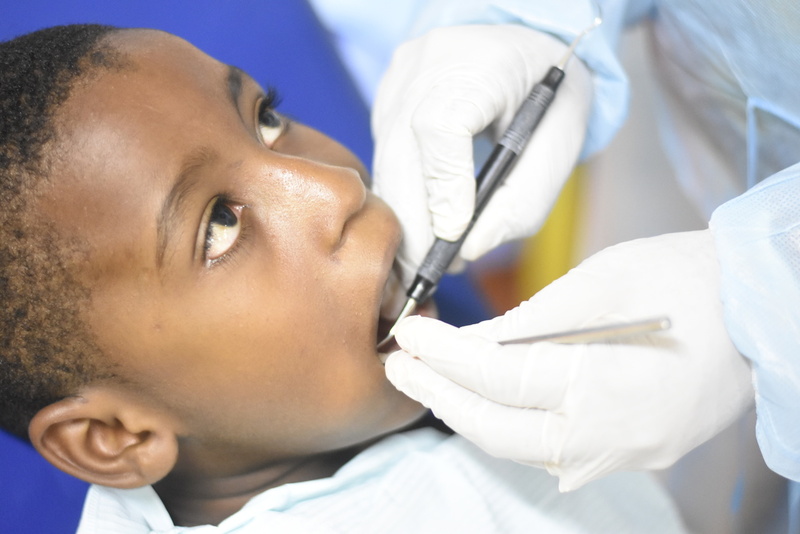 Deslyn Neunie, who was a part of the DS Prime Health’s team that provided dental care, said the residents of West Kingston are starting to learn the value of good dental hygiene. She said that when the Health and Wellness Fair started four years ago, they had to do a lot of extractions, but this is gradually reducing. 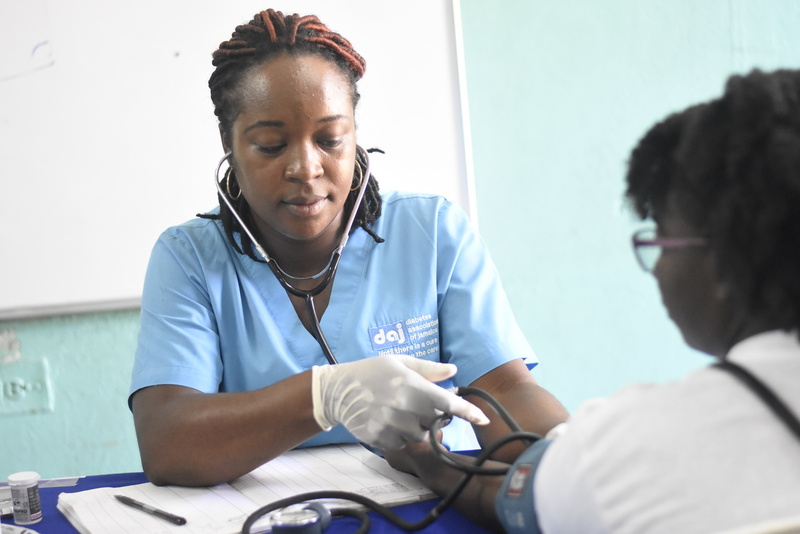 According to Dr Donclair Brown, who was once a resident of the community, the medical team provided a variety of examinations and services for the residents, whom they have to steer in the right direction when a medical ailment is found. Resident Glyne Green was excited about getting his eyes assessed, with further assistance expected from a specialist. Green, was having blurred vision for about five years. “I feel good about the help because it assists me to go further to see a specialist as I have been having an eye problem and I will take it from there,” he said.